Need more information about booking Home 521668 ? Oversteps has been completely restored to a very high standard. Set in the heart of the beautiful historic fishing village of Polperro and very close to the harbour, this 2 bedroom, period cottage offers very high quality & comfort for up to 4 guests in a double (king size bed) & twin bedroom. 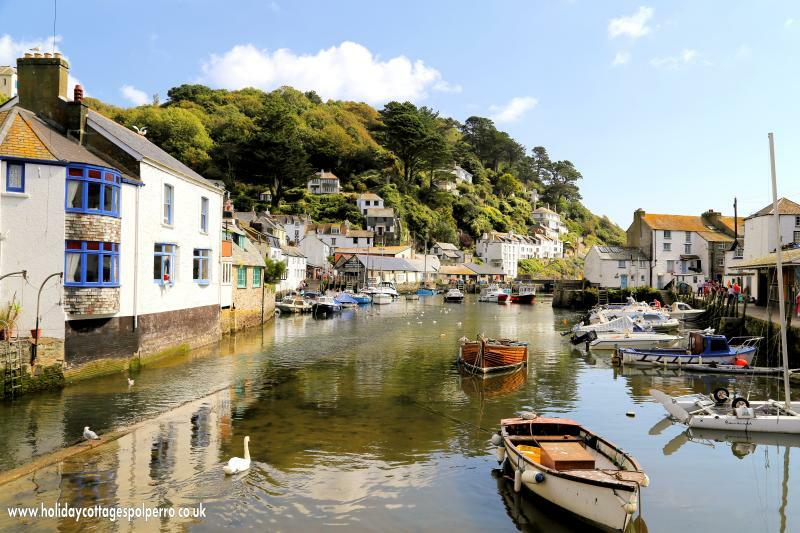 The picturesque Polperro harbour is just a few yards from your front door and the amenities of the village including a selection of pubs and restaurants are all within a short walk.. The cottage boasts a very comfortable lounge with log burner, and a dining area and well equipped and superbly presented kitchen with feature carved wooden fireplace. The cottage has many lovely features including hand picked contemporary furniture, stylish decor and soft furnishings and benefits from solid oak flooring throughout the ground floor. A lovely luxury shower room completes the package which is ideal for couples and families wanting a special base for their Polperro holiday. Parking is included in a car park a 5-7 minute walk away (partially up a steep gradient). You can drive by the front door to load & unload only. This Cottage has 2 bedrooms, 1 bathroom and sleeps 4. It’s been listed on Holiday Lettings since 24 Jun 2013. Located in Cornwall, it has 25 reviews with an overall rating of 4.5. The average weekly rate varies from £392 to £957. Just got back from a week in oversteps and it was a little gem of a place , the kitchen had everything you needed even a dish washer , the only downside is the hike up a very steep hill to your parking space and if you take another car you park in the main car park for a charge of £ 40.00 for the week but we loved our stay and would stay again you are right down in the town not far from the harbour. The cottage is centrally located in a quaint lane less than 2 mins walk to the harbour and shops. It has been beautifully renovated with quality furnishings, a lovely, good-sized and well-equipped kitchen and a clean and modern bathroom. The Wi-Fi was much appreciated. The lack of 5 stars is simply due to the lack of washing machine which is hard to manage without when you have kids on the beach and rock-climbing every day. Despite that, we would return to this cottage like a shot. Note that parking is a 5 minute walk up a steep hill - but once you visit Polperro you realize parking is like gold dust, and to be honest you don't need the car much - walk along the cliffs on the South West Path to Looe or Talland Bay, and eat out in the lovely restaurants and pubs in Polperro. The Kitchen restaurant for something special and the Blue Peter pub for fabulous fish and chips. Polperro is absolutely beautiful and a complete step back in time - we will return! Estimated price per night based on a weekly stay. Owner fees of £45.00 per stay may apply. Enter your dates to see the total cost.